You are here: Home / Giveaways - Sweepstakes & Contests / Giveaway! Tiny House, Vehicle & Beaches Vacation! Giveaway! Tiny House, Vehicle & Beaches Vacation! 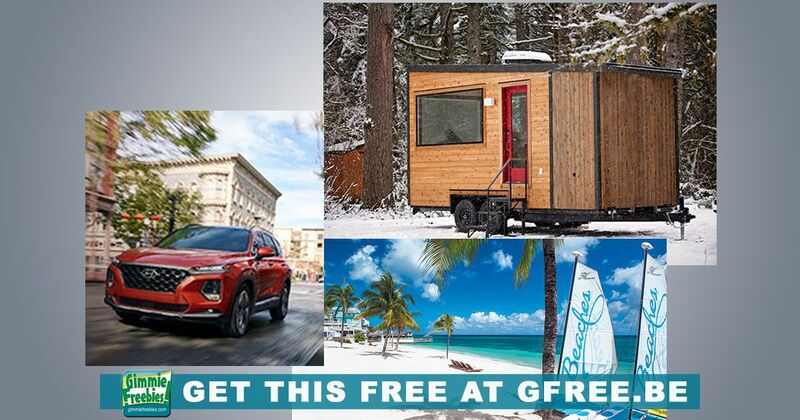 Enter daily for your chance to win a $99,000 grand prize including a car, a tiny home, and more or daily instant prizes. Don’t miss the Gnome for the Holidays Giveaway, sponsored by Bed, Bath and Beyond. If you scroll down, then you’ll see what you can win. However, don’t forget to enter every day! Grand Prize valued at nearly $99,000! In addition, you can win a house! I so want a Tiny Home! One lucky winner will receive the 20′ Vantage created by Tiny Heirloom. After that, you’ll also get a Beaches Resorts Luxury Included Vacation! It’s seven fun-filled days and six starry nights at any Beaches Resort, with three spectacular locations on the most beautiful beaches in Turks & Caicos and Jamaica. Beaches Resorts is the ultimate getaway for everyone! Because your stay includes luxurious accommodations, unlimited 5-Star Global Gourmet dining at up to 21 restaurants, an ocean of watersports at Beaches Aqua Centers including daily scuba diving & snorkeling, a variety of land activities, and more, you’re sure to remember it forever! Because there’s a new prize every day! There’s 30 Instant Win Prizes, which is why you want to enter every day! They’re valued at over $9,000. Looking for the WINNERS LIST? To see all the winners: click the link above to enter, and view the OFFICIAL RULES! Instructions to access the winners list is available in the official rules. For a winner list, visit http://bit.ly/2pypmbD . The winner list will be posted after winner confirmation is complete.